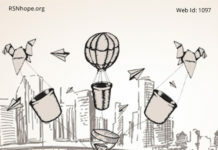 Help people whose Kidneys don't work! Kareem Khalaf and mother, Elham at the Renal Teen Prom, Bill Peckham dialyzing in the Grand Canyon, a teen tries on dresses for the prom, Mendel Schnitzerlr dialyzing at home. Medicare Administrative Contractors (MACs) are harming people who need dialysis to live. Please help protect people who require more frequent dialysis treatments. Doctors should oversee their patient’s health not MACs. Medicare Administrative Contractors (MACs) are limiting people from receiving more frequent dialysis by saying “We won’t pay for it!” Dialysis is typically performed three times a week according to standard goals for “adequate” dialysis. Many people do not feel well with the three-times a week treatment regimen, and seek “optimal” treatment instead of just adequate treatment. Additional dialysis treatments, prescribed by physicians, are critical to patients’ health and quality-of-life. Doctors should prescribe and oversee treatment regimens for their dialysis patients, not MACs. MACs are private health care insurers that are responsible for establishing local coverage determinations, reviewing claims, and paying Medicare rates for provided patient services. They did not go to medical school and specialize in how to care for people with kidney failure. Why do they have the right to determine what is best for a person on dialysis instead of the person’s doctor? MACs are now requiring that patients must demonstrate they are ill by having an adverse event, acute health issue or hospitalization in order to receive an additional dialysis treatment. A medical justification form is required every time by their doctor stating the adverse event and why the additional treatment is needed. A small portion of patients must dialyze more frequently to avoid adverse events and hospitalization. This new requirement will eliminate standing orders for additional dialysis treatments for patients who need it to stay healthy. 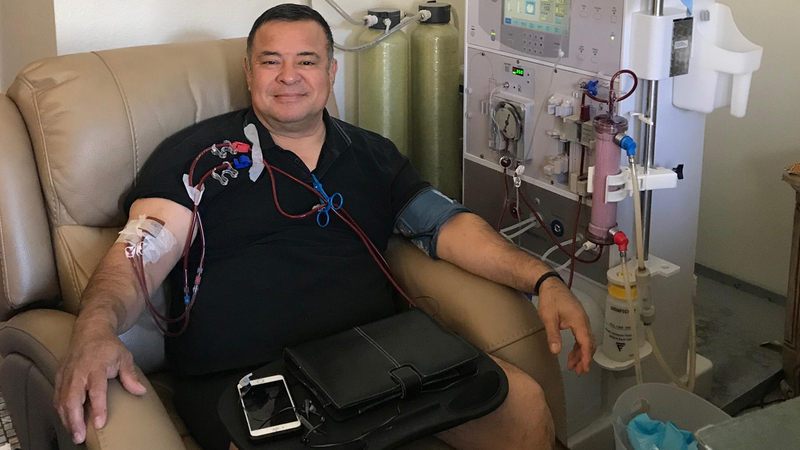 For patients who need it, more frequent dialysis allows them to avoid acute health issues and remain active, productive and out of the hospital. Dialysis is not an easy process and it requires the patient to sit in a chair for 3-4 hours while their blood circulates through a dialyzer. Either a catheter or two large needles are inserted into the patient’s arm or leg to access their blood. Dialysis removes toxins and extra fluid from the blood stream since the kidneys no longer function. Most people on dialysis do not make any urine, so all the fluid they consume in between treatments builds up and can only be removed by dialysis. Some dialysis patients are only able to consume 33 ounces of fluid a day which includes all the fluid in food. A Starbucks Venti coffee is 24 oz., to give you an idea of how limited fluid intake can be. In addition, their diet limits salt, potassium and phosphorus. You will find one or more of these elements contained in every food ingredient available. Under these conditions, physicians have found that more frequent dialysis is the best way for some patients to stay healthy, maintain good lab values and avoid hospitalizations. RSN has yet to find any patient who enjoys sitting in a chair for 3-4 hours, having needles stuck in their arms to access their blood stream so they can have toxins and extra fluid removed. The reason patients choose this is because it makes them feel better and improves their health. Don’t get more frequent treatment confused with pain medication! We don’t get addicted to more treatments, and those of us who are lucky enough to get a kidney transplant celebrate the day dialysis is no longer needed. Studies report that people who are prescribed more than the standard three-time per week dialysis treatments showed improved control of high blood pressure and phosphorus in the blood, requiring less medication. This improves the overall survival of the patient. Studies also show reductions in depression, post-treatment recovery time, sleep disturbances, and restless leg syndrome. 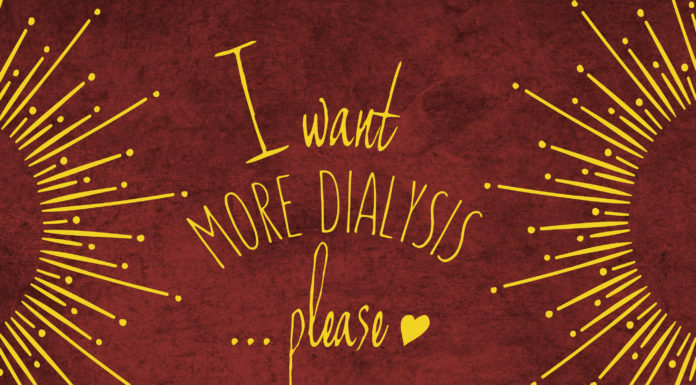 The MACs proposal, in contrast, says “Let’s wait for patients to feel bad.” Putting off the best treatment regimen until acute health episodes or hospitalization occurs in order to get the life-changing treatment dialysis patients need is incomprehensible. Please inform the MACs to stop this practice and create policies and rules that are patient friendly. 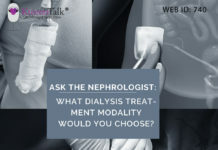 Ask the Nephrologist – What Dialysis Treatment Modality Would You Choose? Join RSN in urging congress to protect Medicare coverage for people who require more frequent hemodialysis. 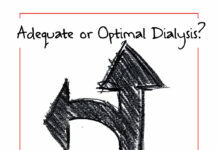 What do Nephrologist say about More Frequent Dialysis? 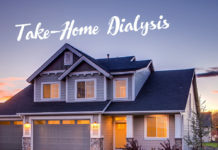 Studies have found that more frequent in-center or home dialysis improves health and quality of life. What do People on Dialysis Say About More Frequent Treatments? 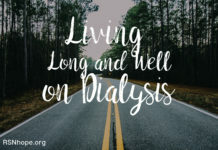 Regular three-times-per-week dialysis, usually performed at a dialysis facility, substitutes for only about 10% of normal kidney function, whereas performing dialysis more often or for longer periods tends to make up for more of your lost kidney function. 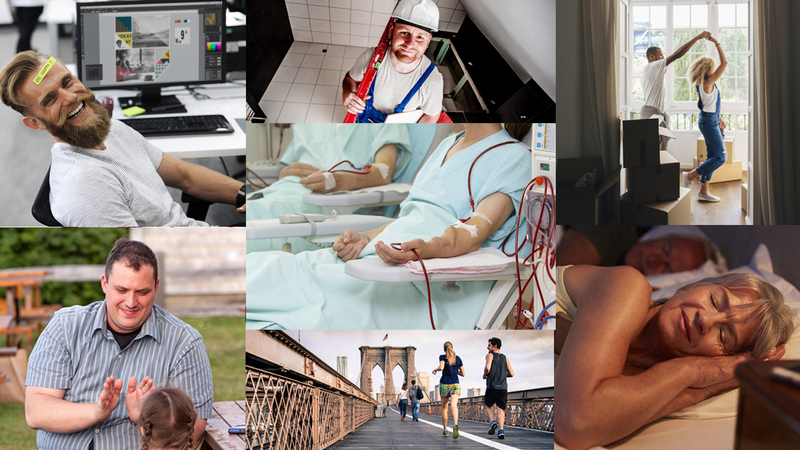 Additionally, medical studies have found that short daily dialysis (two to three hours per treatment) or long nocturnal dialysis (performed during the night while you sleep, six to seven nights per week) have many added health and lifestyle benefits. –George Harper, MEd, EdS, a former home hemodialysis and current transplant patient. After my first week of home hemodialysis treatments I felt a tremendous increase in strength and had the energy I had missed for so long. I was running and playing for hours with my daughter just 10 minutes after getting off my machine. We were able to easily travel again and bring my machine along. I took my daughter to Disney World and wasn’t exhausted after walking around for hours. I felt young again. It was like walking in the sunshine after years of rainy days. I was amazed that I hadn’t known earlier about something that made such a huge improvement in my quality of life. – Donald Ferguson, a patient advocate who travels the U.S. to dialysis centers speaking to patients about the benefits of home hemodialysis. For the past ten years, I’ve dialyzed about eight hours a night. I run three or four nights on and then take one night off. I even treat myself to an Italian hoagie now and then. Fluid intake isn’t much of an issue now. Our family travels have taken us to many major western National Parks and Kauai. I no longer worry about that ominous statistic. Rather, I’m focused on my 30th wedding anniversary next year, visiting my son at college, watching my daughter’s basketball games, paddling the 2020 Grand River Expedition, and advocating for better lives for all patients like us. 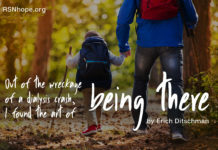 – Erich Ditschman kidney disease survivor and advocate.